A la peanut butter sandwiches! “The Magician” (Malcolm Merlyn) is back in town. A la peanut butter sandwiches! “The Magician” (Malcolm Merlyn) is back in town. And so is Nyssa al Ghul. When she discovers her beloved Sara is dead, she’s determined to make Malcolm Merlyn pay for it. But Oliver isn’t convinced it is Merlyn and he’s not going to let anyone get assassinated on his watch! But Oliver’s determination to be an ethical vigilante is making him some powerful enemies and my just start a war. Jay and Josh make things mysteriously appear and saw each other in half on this magical episode of Green Justice: An Arrow Podcast. Listen in and justice will be served…to your MP3 player! 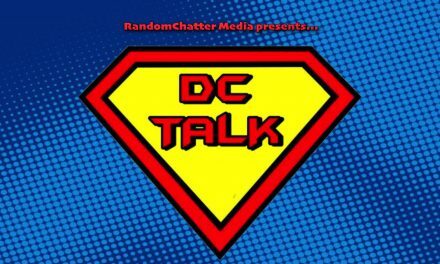 DC Talk #5: We Have Finally Arrived!